Renown of Fosjoas is popular at home and abroad. From little kids to the elder people, all of them would like to ride Fosjoas intelligent self-balancing electric scooter to cover their daily travels. 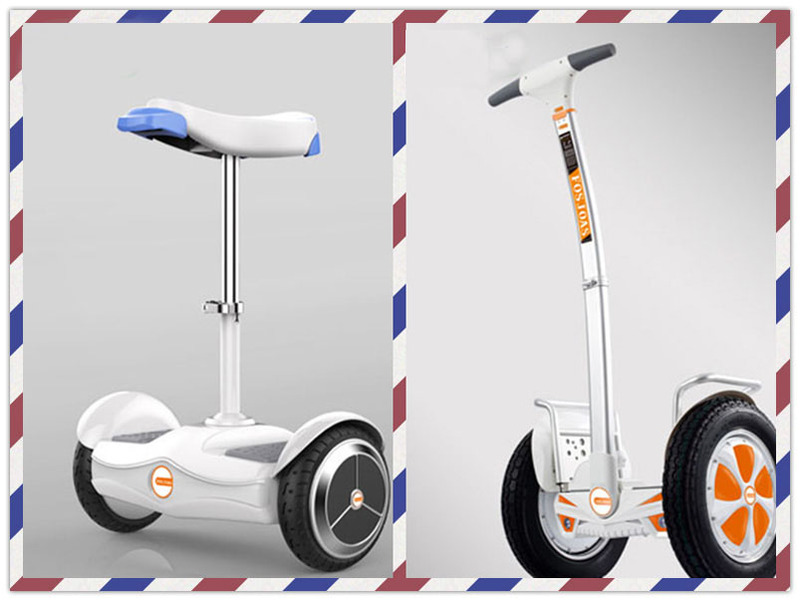 In order to satisfy different travel needs from different people, Fosjoas offers several series of electric scooters, including K-series, V-series and U-series. No matter what your age, figure, gender and career are, there is always a type of electric scooter catering for you. If you love exciting feel in leisure time, riding Fosjoas electric scooter and weaving on road is a great idea. Comparatively speaking, Fosjoas twin-wheeled electric scooter and electric unicycle are good choices. They are small and light, which can be carried by one hand easily. Meanwhile, they are also called self-balancing scooters. It means you can realize all controls by regulating your body gravity. You can choose one and ride it on road freely. In addition, Fosjoas K1 electric skateboard is also a good choice. It can fully satisfy the sliding desire in your heart. You can stand on the board of Fosjoas K1 electric skateboard and slightly lean forward. Then, you can go to any place you like. What if you are a travel lover? Fosjoas electric scooters also can help you. Fosjoas U3 electric scooter and K5 standing up electric scooter are two typical travel tools. The former is famous for two big tyres, large lithium-ion battery capacity and long range, which can make your travel comfortable and relaxing. The typical characteristics of the latter are unlimited range and strong adaptability to different road conditions and weather conditions. If you are a white collar and need a commute tool, Fosjoas K3 sitting-posture two-wheel electric self-balancing scooter and V9 two-wheeled electric scooter won’t let you down. You don’t need to be stuck in traffic jam anymore. Fosjoas electric scooter will take you to work on time all the time.